We spoke with Co-Founder Brian Appel of Boston Calling Music Festival about how it got started and what’s involved in doing such a large scale festival. What provoked you to create this festival? We had been working for years when I was at the Boston Phoenix with my business partner Mike, and we we’re at WFNX at the Phoenix and we we’re doing a lot of events in Boston, we we’re doing concerts, we we’re doing events in conjunction with the Mayor’s office and we saw that there was an opportunity to do a bigger scale music fest, we tried to do it with WFNX and ultimately that station ended up going under. So once we saw that happening we decided to do it out on our own, so then we we’re up and running once we got permission from the city to do it and we started a company. Alright, you guys did a Boston Calling earlier this year? So you guys are doing it twice a year? Are you going to bring it back next year? Do you have any highlights of some of the other shows you’ve done? Ah, these are the only big shows that we’ve done this year, we do the May edition and then the September edition. What are some of the vendors that you’ll be having at your festival, especially food vendors? We haven’t announced the food/drink lineup yet, we’re probably going to announce that in the next week or so, we try really hard to pull good local food vendors in we try to bring as many people from the city of Boston to help work and vend at our events as we can to keep it local, you’ll see a good assortment of local restaurants that want to come and cater the event and sell food to the public and then same thing with beers we try to bring in good craft beers that our audience likes to drink. Nice, so what are some of your craft beers? We’re just finishing up that line-up now, in May we had Harpoon, we had Carlsberg and we had cider and I think you’ll see a little bit more of a variety in the lineup, a couple more selections for September. So what was the process of getting the artists, especially a lot of the big bands on the Lineup for Boston Calling. So we partnered up with Bowery Presents to help us secure the talent for the festival, so we work with them almost everyday to help narrow down our list on bands that we think is a good fit for the festival, and then Bowery are the ones that are in negotiations and working on the deals with the agents specifically for the festival, we also work with Aaron Dessner from The National and he helps secure it as well so he sends around bands that he likes and has relationships with and then we work kinda like a 3 headed group to come to the best lineup options for us. Do you have favorite band that’s playing your festival? In September I’m really looking forward to the Gaslight Anthem I think they’re great, they have a lot of energy I think they’re a bit of a underground band where they have very dedicated fans, and I think the people at our festival who haven’t seen them before will be surprised with how exciting they are live. So how long have you been in the music industry, we’re involved in doing something else music related like when you first got started? Not specifically, I worked like I mentioned earlier for the Boston Phoenix newspaper, and WFNX radio it’s the same company, so you know part of the job was to help organize concerts and events in the city of Boston but it wasn’t specifically narrowed on music, so now that we started this festival we get a deep dive into how the music industry really operates and how to pull this off properly. Well any sponsors or tickets sales going towards the victims of the Boston Bombing? We partnered with a couple of different charitable organizations for our May event, including Children’s Hospital so they get a portion of all ticket proceeds and we also donated to Camp Harbor View which is a camp that’s out in Harbor Islands for kids that live within the city of Boston so they get to go to Summer Camp. So is there a lot of pressure involved in what you’re doing? Well sure, there’s the pressure that first of all the event is safe and ran in a secure manner that the Mayor’s office approves of and that the Police dept and Fire dept approve of so that’s a big pressure and then obviously we need to sell tickets and that’s a pressure and we also need to make sure that the bands that are performing have a good experience and then the sponsors that we have-have a good interaction, so there’s a lot of different moving parts that we take very seriously and we want to make sure that we do as good of a job as we can to make sure that everyone involved has a good experience. So what’s the total of bands that you have on there right now, are you plan on adding anymore last minute? Yes, we are adding two more bands through a Sonicbids promotion, so right now we have 18 bands and we’re going to add one more band per day so it’ll be 10 bands per day for September. So how many people did you get last time? We had 18 bands last time. 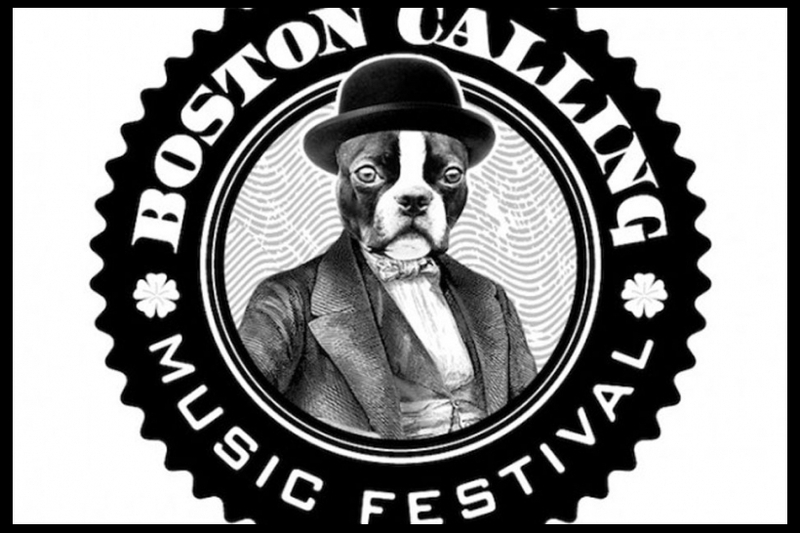 __________________________________________________________________________________________________________ Be sure to check out Boston Calling Music Festival September 7th-8th, definitely a great festival to end summer with!